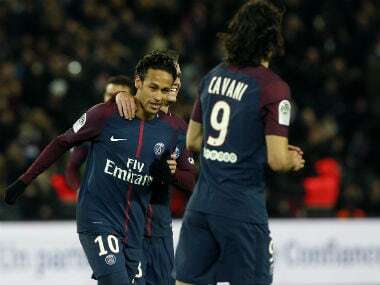 Paris: Neymar scored four times while Edinson Cavani equalled Zlatan Ibrahimovic's Paris Saint-Germain all-time goalscoring record as the runaway Ligue 1 leaders thrashed Dijon 8-0 on Wednesday. 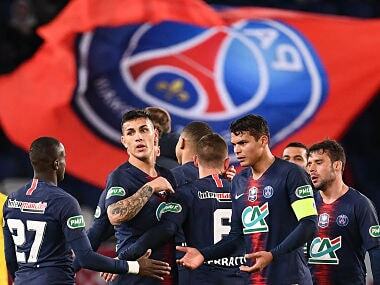 Angel Di Maria struck twice inside the opening quarter-hour at the Parc des Princes before the Argentine provided the cross for Cavani to net his 156th PSG goal. Neymar marked his return from a rib injury with the hosts' fourth just before half-time, and the Brazilian made it a hat-trick with two more second-half strikes as Dijon were mercilessly ripped apart. Kylian Mbappe piled on further misery for the visitors 13 minutes from time before Neymar notched his fourth of the evening from the penalty spot – denying Cavani the chance to make club history and eliciting whistles from home supporters. "(Cavani) is our goalscorer and he's improved a lot here. The team helped him to achieve this individual mark," said PSG coach Unai Emery, who was quick to defend Neymar's decision to take the spot-kick. "I think Neymar took the penalty because it was also a good day for him. We're happy with it. But there will be lots more chances for Cavani to score more goals." Argentine Di Maria, who grabbed the winner in Sunday's 1-0 victory at Nantes, needed just four minutes in Paris to put the home team ahead with a stunning left-footed strike into the top corner. The former Real Madrid and Manchester United winger added a second when he applied the final touch after Neymar lifted the ball over Dijon goalkeeper Baptiste Reynet following a ball through from Cavani. The Uruguayan then netted his league-best 20th goal of the season by heading in a right-wing cross from Di Maria, pulling level with the record Ibrahimovic set across four seasons in the French capital. Neymar made it 4-0 on 42 minutes with a sublime free-kick, with the world's most expensive player pouncing on a miscued clearance to double his tally just before the hour. 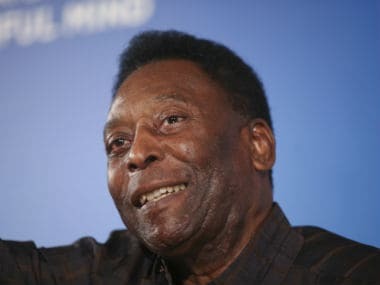 He then struck a sensational third goal of the night with a run that beat several Dijon defenders and culminated in a crisp low drive from the edge of the area. 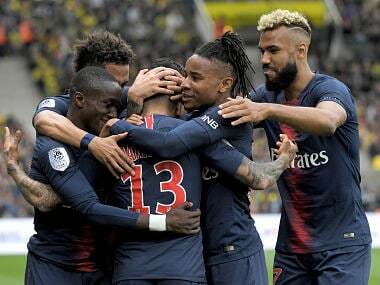 Neymar released Mbappe as the teenager scored within five minutes of replacing Di Maria, while the Brazilian rounded out a record home win for PSG from the spot after Cavani tumbled to the ground. "It was a very, very good PSG against a Dijon side that unfortunately didn't put up much resistance. We were almost perfect today," PSG defender Thomas Meunier told Canal+. PSG have yet to drop a point at home this season and lead Lyon by 11 points, with a trip to face Bruno Genesio's men next up for the league leaders at the weekend. Nabil Fekir scored his 15th goal of the campaign as Lyon defeated Guingamp 2-0, with 19-year-old midfielder Houssem Aouar also on target at the Stade du Roudourou. "Nabil's performance was extraordinary. He's been on a roll since the start of the season. He's at an international level and doing it consistently, which is a good sign for us," Genesio said. 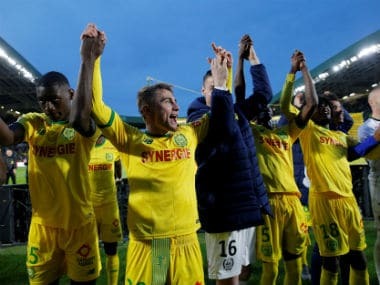 Claudio Ranieri's Nantes conceded a last-gasp penalty in a 1-1 draw at Toulouse, as Max-Alain Gradel salvaged a point for the hosts by cancelling out a first-half header from Slovenia international Rene Krhin. Yann M'Vila endured a chastening return to French football as his Saint-Etienne debut ended in a 3-0 defeat at bottom side Metz, who won for the third time in four outings.